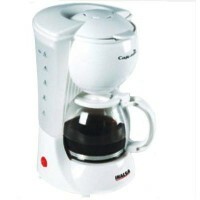 Warranty : The Inalsa Coffee Maker comes with 1 year warranty, from the date of purchase of the product. 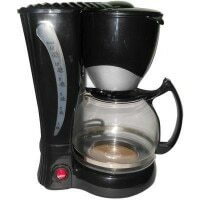 This price of Inalsa Cafemax 5 Cups Coffee Maker is valid in Mumbai, Bangalore, Delhi, Chennai, Pune, Hyderabad, Ahmedabad, Kolkata and all the other major cities in India. 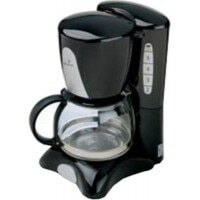 You can buy Inalsa Cafemax 5 Cups Coffee Maker at Flipkart. BuyingIQ is not liable for the service provided by any of these store(s). The Inalsa Coffee Maker comes with 1 year warranty, from the date of purchase of the product. 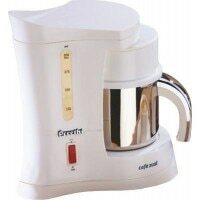 vs The Preethi Coffee Maker comes with 1 year warranty, from the date of purchase of the product. The Inalsa Coffee Maker comes with 1 year warranty, from the date of purchase of the product. vs The Russell Hobbs Maker comes with 2 years warranty, from the date of purchase of the product. The Inalsa Coffee Maker comes with 1 year warranty, from the date of purchase of the product.